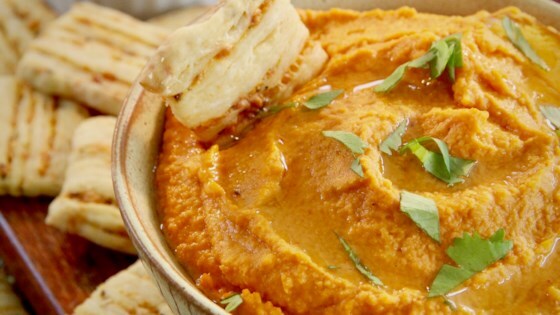 "The red pepper gives this hummus a lovely orange color, perfect for Halloween. Serve with black corn chips." Combine garbanzo beans, lemon juice, olive oil, tahini, red pepper, salt, and garlic in a food processor; blend until smooth. Stir in reserved liquid to desired texture.